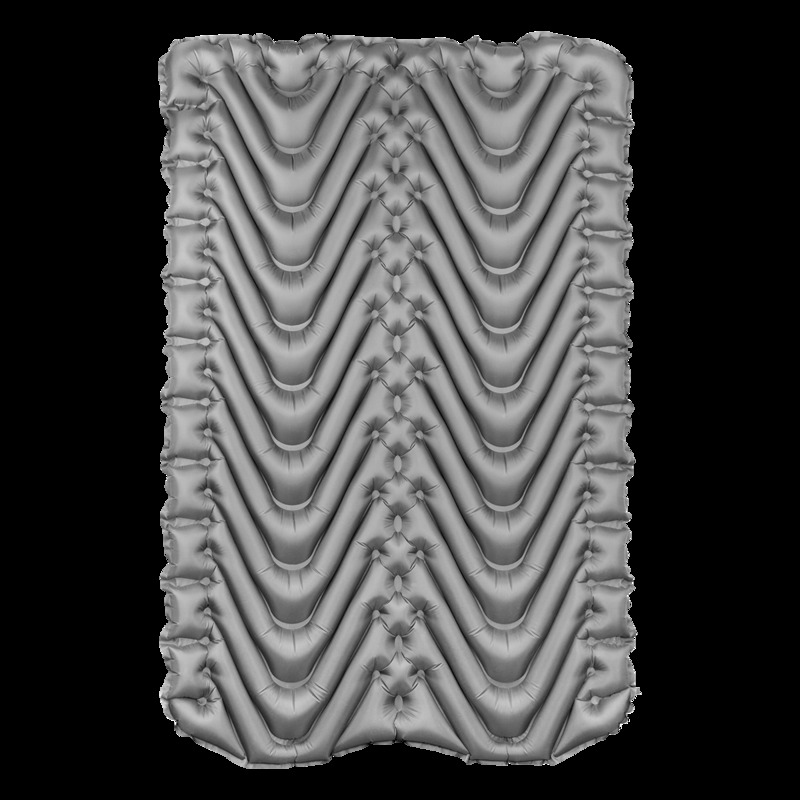 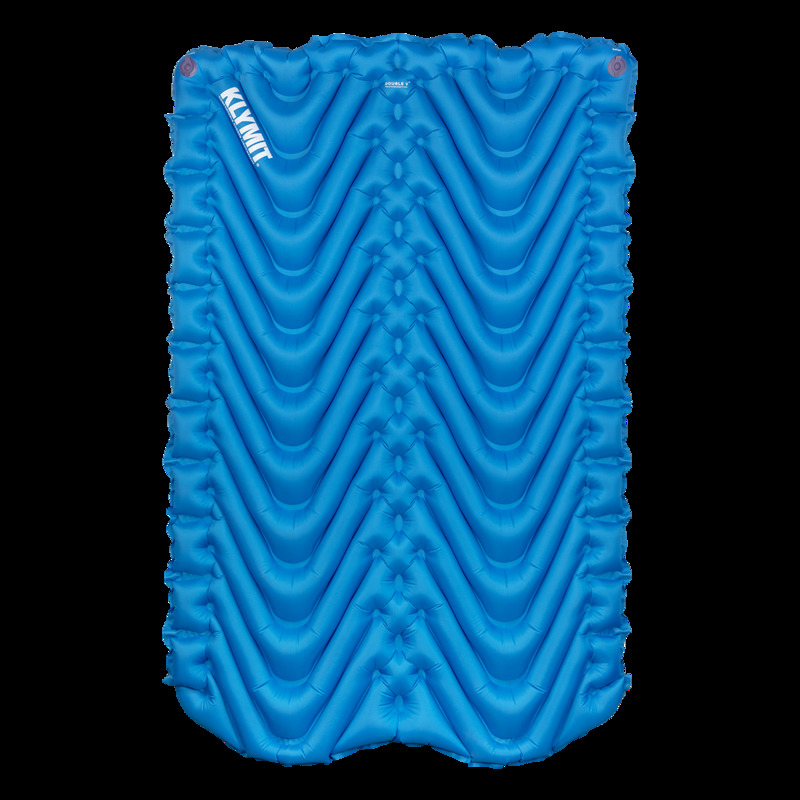 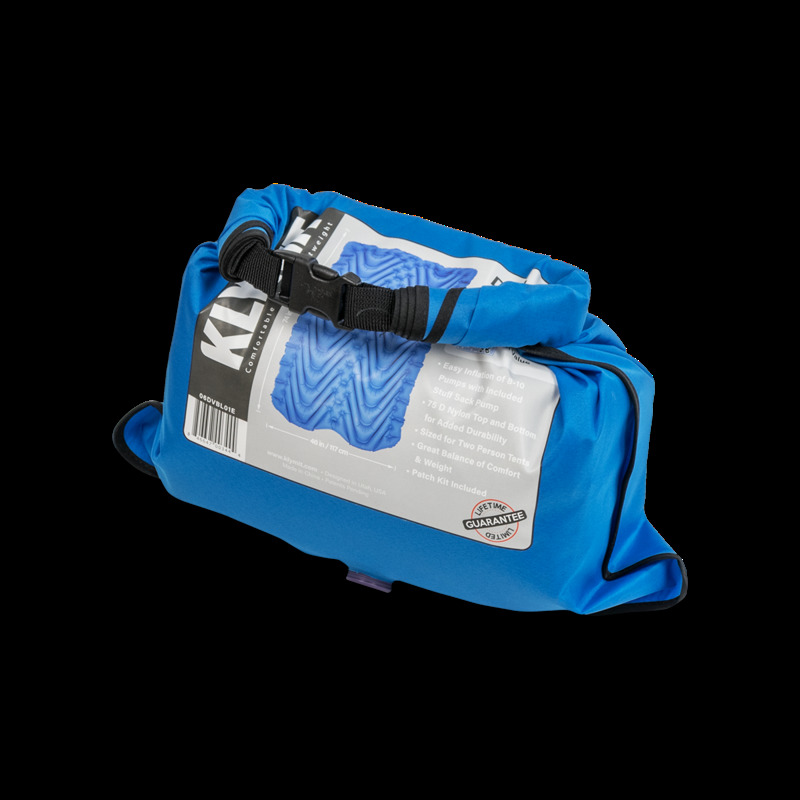 Klymit Double V: two person lightweight pad. 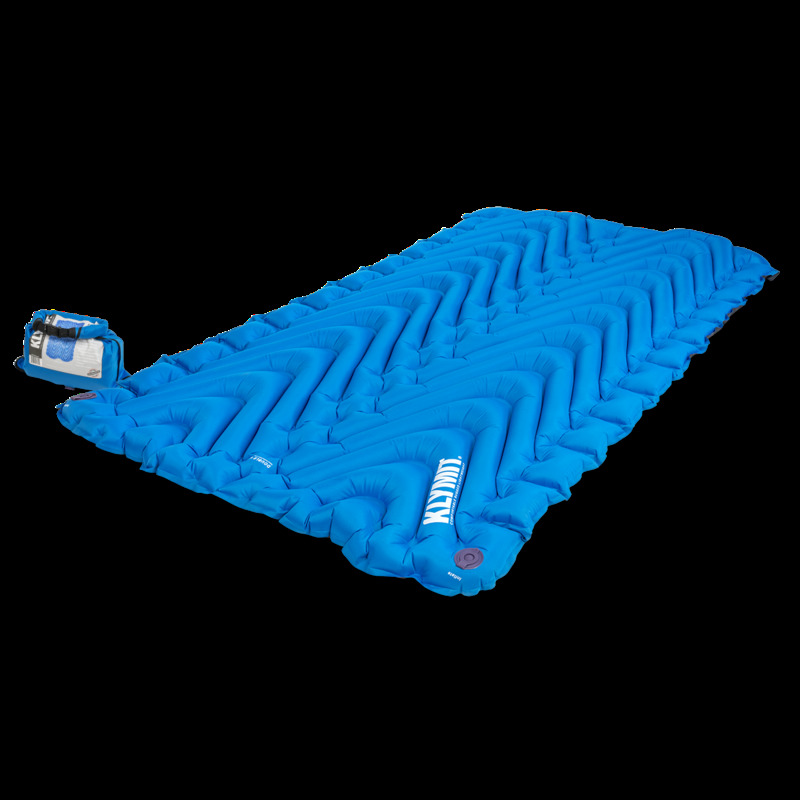 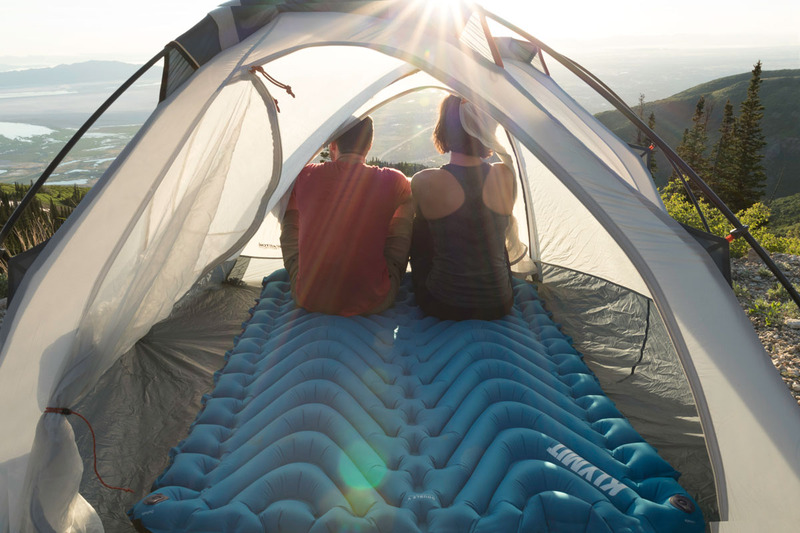 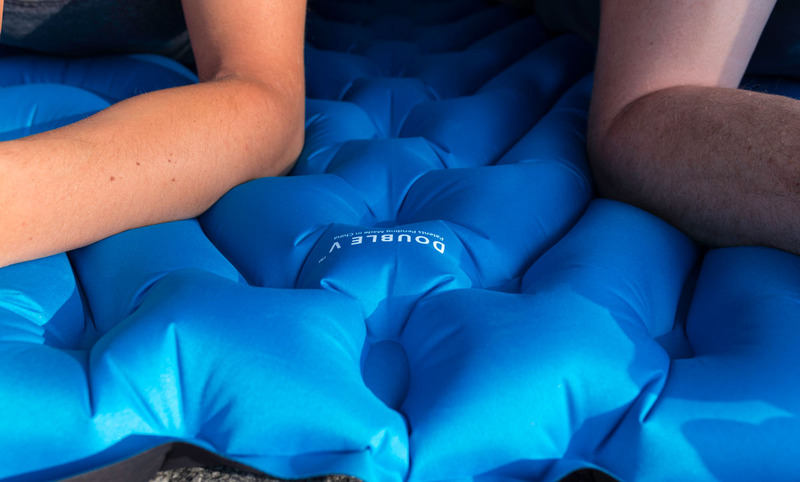 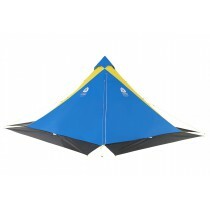 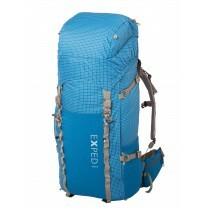 The Double V is an ideal pad for backpackers and campers looking foe a backcountry bed for two. 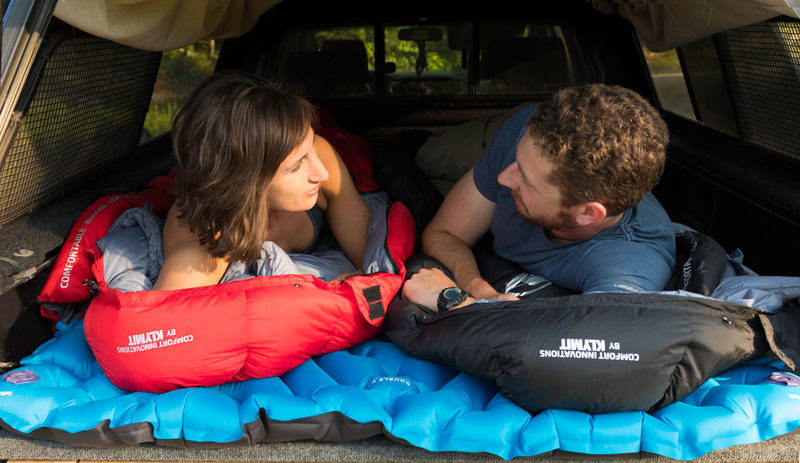 The body-mapped V chamber design limits air movements to help maintain insulating performance, maximize comfort, and keep your tossing and turning from ruining your partner's sleep. 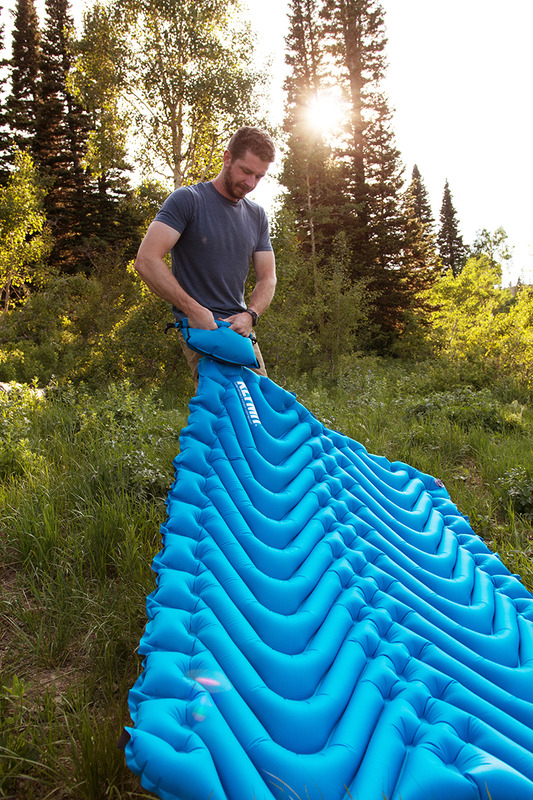 It's sized to easily fit in a two-person tent, but rugged enough to sleep on the ground under the stars.